What are the best business hotels in Helsinki in the summer of 2018? 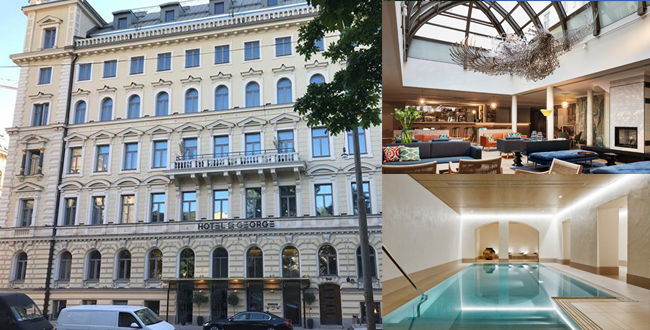 These are our top 3 picks for a business hotel in Helsinki in the summer of 2018. Your choice naturally depends on a variety of things, and even the price may be very different depending on where and how you book. But if for example it’s already been a few years since your last trip, these are all new establishments which may be worth your consideration. This is the new kid on the block. Its big and located dead center overlooking a very nice small park with Helsinki’s second oldest church. The city is easily accessible by foot. As we understand the hotel was built to be the best in town and its a full service luxury hotel, which at the time of writing has just opened it’s doors, maybe April 2018? 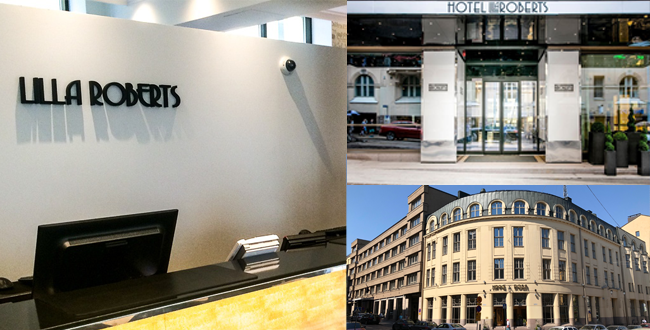 At St George you can expect to get what you are paying for, and the Helsinki hotel offering had been recently reviewed as providing the best value in the Nordics, in a poll on one of the major travel booking sites. The press about the St George has been very positive and the chain it belongs to has set out to differentiate by quality. Minutes to Crystal Show Club by foot – about 3 minutes. Standing at 78 meters the hotel dominates the view in the area. It was built by a Norwegian millionaire and opened its doors in 2016. 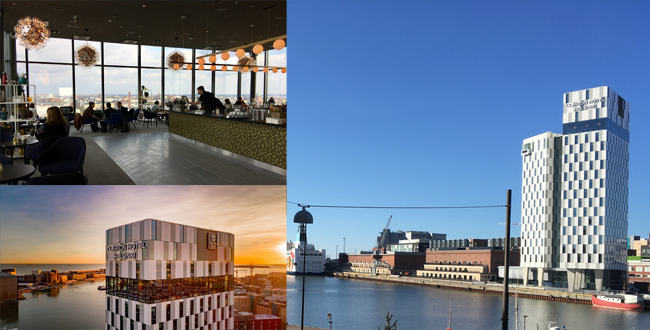 It is your typical stylish business hotel, the sky bar provides a panoramic view of Helsinki and there’s even a roof top swimming pool for those who can never get enough of the sights. To be honest its located in an area that can sometimes be troubled by traffic as its located in Jätkänsaari, an area basically surrounded by water with only a few routes in and out, and just a few hundred meters from the hotel is a port where all the Helsinki-Tallinn ferries dock. Those carry a lot of cars and trucks. The hotel does have a conference wing , accessible directly from the lobby, which makes it handy for events. Come here for: the view, conferences & if you feel like a day trip to Estonia. Minutes to Crystal Show Club by foot – approx 10-15 minutes, a taxi might make sense. A design hotel located 5 minutes from the center, depending on where exactly you place the center. Its very trendy place but while its very much in the center, it’s just a little bit isolated, in the sense that if you are walking, where ever you go you need to walk almost 1 km before you start to see anything interesting. That really sound worse than it is, as for example just next door you can find Ravintola Juuri, which is just a fabulous restaurant (there’s naturally a quality restaurant within the hotel too), so in all fairness its not that bad & the area is nice older buildings mostly. As you can expect the rooms are nice and stylish and everything works. The building has a bit of history, it used to serve a police station and while the presence of the law men themselves is no longer distinguishable you do sense the building has had a purpose. Lilla Roberts is part of the same chain of Hotels as Hotel St George above. Come here for: the lobby bar, central location and style. Minutes to Crystal Show Club by foot – less than 10 minutes, a very comfortable walk.